Thanks again – we couldn’t be happier with the car and though hopefully we won’t be back anytime soon would be back in a flash if we have another accident. Thanks to Cath and all the crew at T and C Smash Repairs for the comfort and concern given when I first had my accident; for keeping us up to date on progress throughout the repair and for the magnificent job when finished. We couldn’t be happier. Here is a ‘love letter’ to you both, you are welcome to dissect it and print only what you wish but its all real and full of heartfelt thanks for your great service. Can’t thank you both enough!!! Just want to say a HUGE thank you to you both for the outstanding service you provided with the work you did on my Outback! It’s a nice reminder that quality “good old fashioned’ service still does exist in this fast paced world on technology. The outcome I achieved with the new paintwork simply as a ‘facelift’ for my Subaru is, in a word, Impressive!! Thanks also for recommending Ken and Lynne at Auto Clean. They did a wonderful job, both inside and out – again the quality “good old fashioned’ service will be a lasting reminder that “people really do matter”. I will definately recommend and use these services again. What a team! 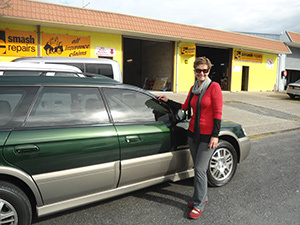 “As a female car owner, it can sometimes be daunting dealing with car issues. 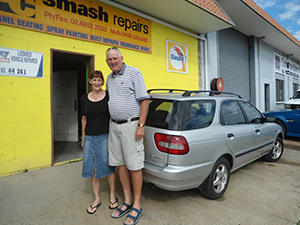 Thank you – Pete, Kathy & crew at t & c smash repairs for making the whole insurance, repairs & colour choices so easy for me. Your attention to detail & friendly service was truly fantastic. 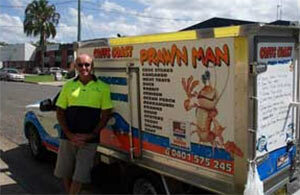 “With T & C Crash Repairs dealing with my repair I had complete piece of mind. I knew from the out set that they would do a good job as from the start they were professional and seemed to have all bases covered. They were quick and efficient and even corresponded directly with my insurer; nothing seemed to be too much bother for them. “Whilst driving on the Pacific Highway recently, I was hit in the rear. The car was assessed by my insurance company as being a write off. The repair costs far exceeded the insurance value. A retired vehicle smash repairer friend suggested I approach t & c. the firm was very sympathetic to my concern & promptly produced a repair quote far under the initial estimate. The final result was amazing!